Life is about signs and finding the meaning in them as they pertain to your journey on this beautiful Earth. The white squirrel was my sign. When I arrived for the first time on The Horse Shoe Farm I was transfixed by the calm and healing energy of the land and overcome with a deep sense of peace. I loved it. I toured around the property and was taken aback by the breadth and beauty of the farm. 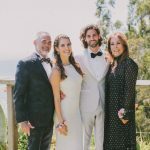 Between the rolling hills and sweeping views, the rushing waters of the French Broad River, and the picturesque homes and barns that littered the grounds, it was like I had died and gone to heaven… but all I could think about was, is that enough? Is the perfection of this place, in this time, enough to make you give yourself to it? I couldn’t answer the question. A wild set of circumstances had brought me here and I couldn’t for the life of me understand whether to trust this place or not. So I started looking, no searching hard, for a sign, a reason to explain my and my family’s presence here. So I opened my eyes and my heart and naturally, there they were. Hawks – MESSENGERS – circling in the sky for hours, alerting me to be astute to my new surroundings and keen to every detail. Horseshoes – LUCK – a bringer of good fortune and prosperity, branded on this place for decades, by the grace of the river herself, as its name, for both the area and the farm. Squirrels -GATHERERS/NURTURERS- a fertile land able to supply, provide, and care for… but wait they’re WHITE…What??? 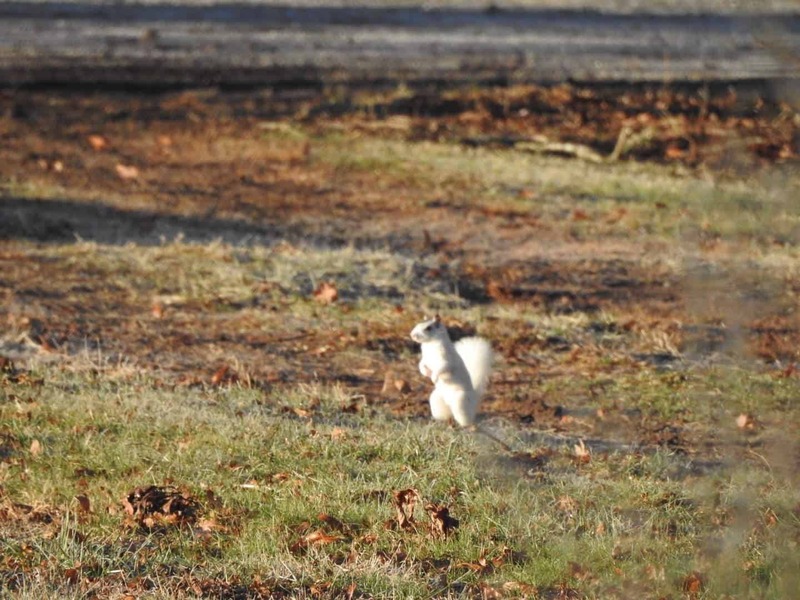 White squirrels. 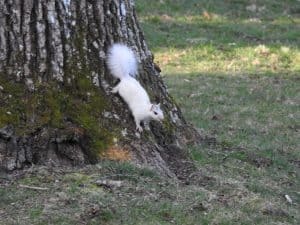 Does a family of albino squirrels live on The Horse Shoe Farm? Are they painted? Am I seeing straight? They can’t be real. Complete stillness came over me as I read the passage below. I laughed. 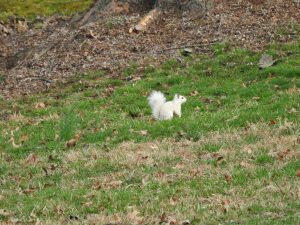 These aren’t white squirrels, they’re WHITE COSMIC SQUIRRELS and they are bringers of the NEW EARTH. I couldn’t help but to stare at them in awe after reading that. I had been looking for a safe space to create a container for people to heal in, regardless of what my fellow brothers and sisters needed to process so they could shed themselves of the past and step into the paradise that is our home, here on this planet. And there it was, the ultimate sign that this was the place and worthy of my energy and heart. Welcome to The Horse Shoe Farm. If you found this, then you’re in the right place. We look forward to meeting you.